In 2004 U2 worked with Apple’s iTunes store to put together a “digital box set” of U2 Recordings entitled “The Complete U2.” The set was only available through the iTunes music store for download, and included material from the first EP “Three” right through the most recent single “Vertigo”, including albums, singles and EPs. The initial launch of the set included 446 songs. The set retailed for $149.99 in the US, and a $50 coupon for the set was included in U2 Edition iPods which had also gone on sale in November 2004. Also included in the set were several rare recordings that were grouped together as albums. These “digital albums” were accompanied by new artwork designed by Four5One, the creative design firm which has done much of U2’s graphic design through the years. These album covers were embedded in each song on the “digital album” as well as being showcased in the digital booklet, designed by Shaughn McGrath, which accompanied the set in pdf format. These rarities included in “The Complete U2” were marked as “album only” when the set went on sale. Thus you had to buy the entire set to get these rare tracks. An error in the launch of the set in the Canadian iTunes store left these songs available for individual purchase for the first three days the set was available on that store. The album was initially released in 2004 at 128kbs quality and as of December 20, 2007 was removed from the iTunes store and is no longer available to purchase. However in May 2009, when the iTunes Plus upgrades were made available, users who had previously purchased “The Complete U2” could upgrade the quality to 256kbs quality, but it still remains unavailable for new purchases. 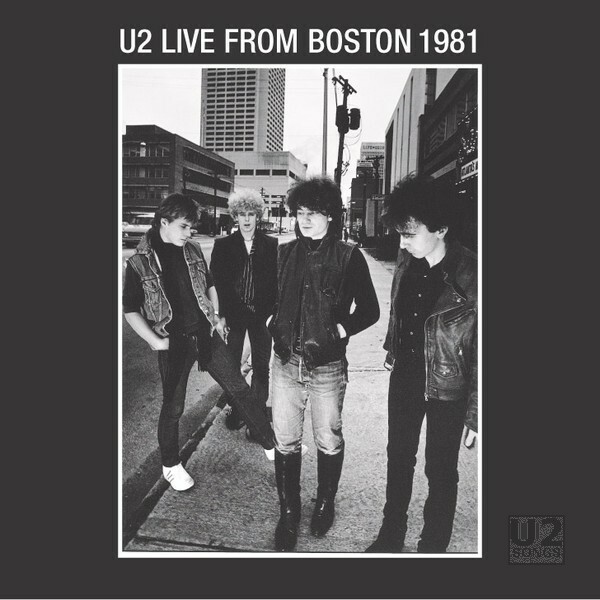 “Live from Boston 1981” was released as a digital album within “The Complete U2”. It is one of the items which was marked “Album Only” when “The Complete U2” went on sale. The album was a recording of a concert from U2’s concert performance on March 6, 1981. U2 performed at the Paradise Theatre in Boston on that night. The show was recorded and broadcast on radio, and was released as a radio show on vinyl, and many of the songs from this concert had been used as B-Sides over the years on U2 singles. This was the first time that U2 themselves have officially released the show as a complete set. The entire concert is available here. “The Ocean”, “11 O’Clock Tick Tock”, and “Cry / The Electric Co.” were previously released as b-sides to “Fire” in 1981. “An Cat Dubh / Into the Heart” was released on the NME promo cassette, “NME Dancin’ Master” in 1981. “Stories for Boys” and “Out of Control” were released on the “Sweetest Thing” single in 1998. “Out of Control” was also used on the “I Will Follow” single released in North America in 1981. “I Will Follow” was used as a b-side to the “Gloria” single in 1981. The album cover, attached to the files released in this set, as well as being featured in the liner notes for “The Complete U2” was designed by Four5One°, who have been responsible for much of U2’s covers and graphic imagery over the years. There are no traditional liner notes associated with this release which break down track credits.